Sometimes it can be quite time-consuming and difficult to discover and choose the perfect place for dining outside of the home. Among so many restaurants nearby you, the best way to find all the top places for dining in your surroundings is with a help of an app. The right app can help you explore dining places nearby, connect and communicate with them easily. We searched and we discovered a great food guide app that can make your life easier for sure. Let’s see what the TopEats app is all about. TopEats is a food guide app developed on the Android platform for all users that need help in discovering the top places to eat nearby them, just with a tap on their phones. 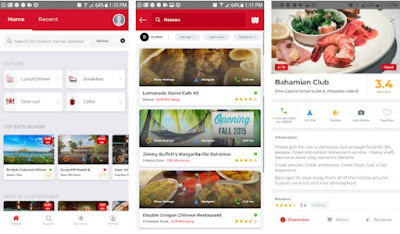 With this easy to use and very user-friendly food app, the users are able to easily and quickly discover and connect with countless of restaurants in their surroundings, to connect and communicate with the places they like and review the ones they visited. Saving users time, this app will find you the perfect place for dining close to you. 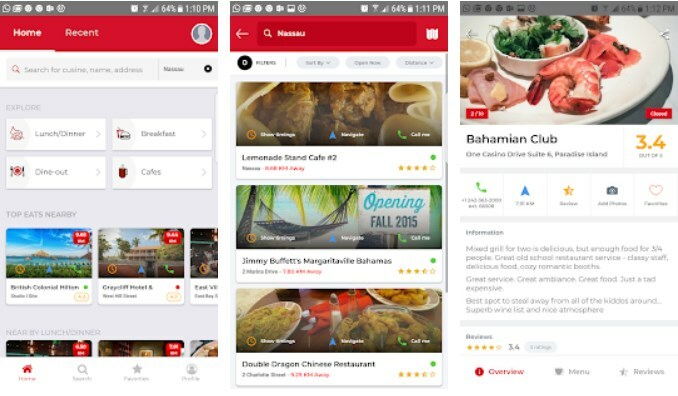 TopEats with its features is helping users that like to eat out of the home and constantly look for the perfect place to dine easily and quickly. With this food finder, you have the chance to explore dining places just by using your location and the app immediately will show you all the places nearby for dinner, breakfast, lunch, dine-out, cafes, takeaway, clubs and pubs. Users can look for the perfect place for dining based on their wishers just with using the filters of the app to make a quick and specific search. You are also able to look for places based on if they are open in the moment or their distance depending on your location at the moment. To save time, users can look for their recently viewed places on the app. To connect with restaurants nearby, users can do that with a tap on their phone, without any effort. You can get connected with the places you choose and communicate with them, reviewing the places you already visited to help other users choose them too. The places can be searched based on their address, name or the cuisine type and you can discover dining places you’d enjoy at any time. Download this app on Google Play for free to explore countless places for dining in your surroundings!